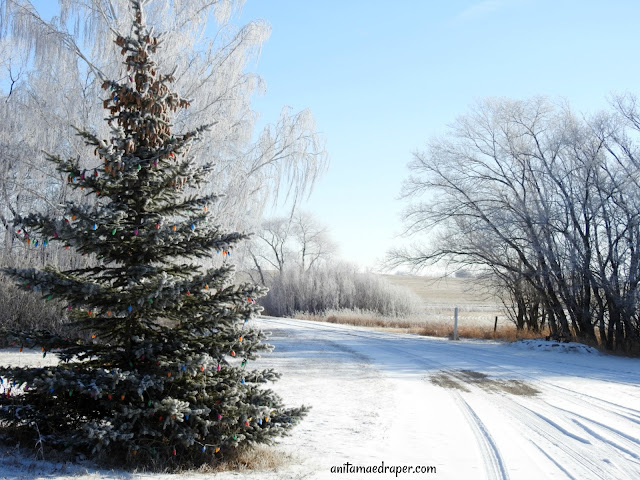 Did you see Susanne's lovely post, Too Early to Decorate For Christmas? a couple days ago? I know how she feels because it seems that this year Christmas is starting early. Up here on the Canadian prairies, we have an inch or so of snow covering the landscape which heightens the sense that Christmas is on its way. This really helps because snow in November inspires me to start my Christmas baking with those goodies like fruitcake that need time for their flavors to meld. And yes, we do love fruitcake in our house. Instead of a large cake or loaf, however, I usually make 4-6 small, personal-size loaves. Wrapped in a clear holiday-themed cellophane bag, they make nice gifts for seniors, get-togethers, as well as sending in "care packages" to distant loved ones. And of course, we eat some. We don't drink alcohol in our house, so it's always interesting when I go to the store and buy a bottle of brandy for the fruitcake, both to add to the recipe, and then to soak the cheesecloth in before it's wrapped around the loaves, which are then wrapped in tin foil set in the fridge. They'll be unwrapped, soaked and rewrapped every week or two for at least 3 weeks, until needed. 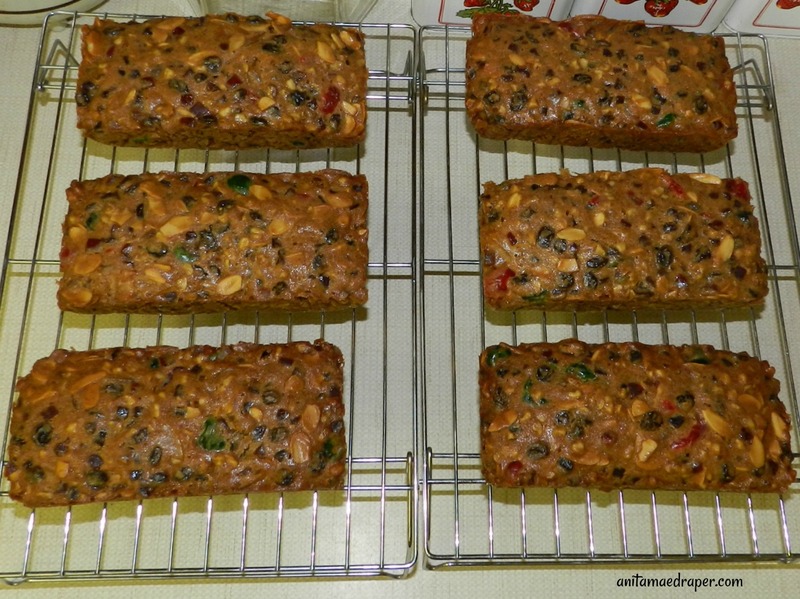 If I'm short of time, I'll use my Robin Hood Fabulous Fruitcake recipe which is non-alcoholic and only needs a couple weeks in the fridge to taste wonderful. Fruitcakes are notorious for their long life. It's one of the reasons so many were sent from the home front to loved ones fighting overseas. In a letter from my husband's grandfather, a WW1 sailor, he wrote that he hadn't received any letters from home since setting out on his current "cruise", but that he was still portioning out part of the last fruitcake he'd received months earlier. Fruitcakes last because they contain preserved foods like dry and candied fruit, and nuts that help to keep bacteria from developing, as does the alcohol and cold storage. How long does it last under optimum conditions? Well, that's hard to say, but it could be decades. Really. Of course, the quality will diminish over extremely long periods, but you could eat it. So I have my fruitcake recipe at the ready and will begin baking this week. 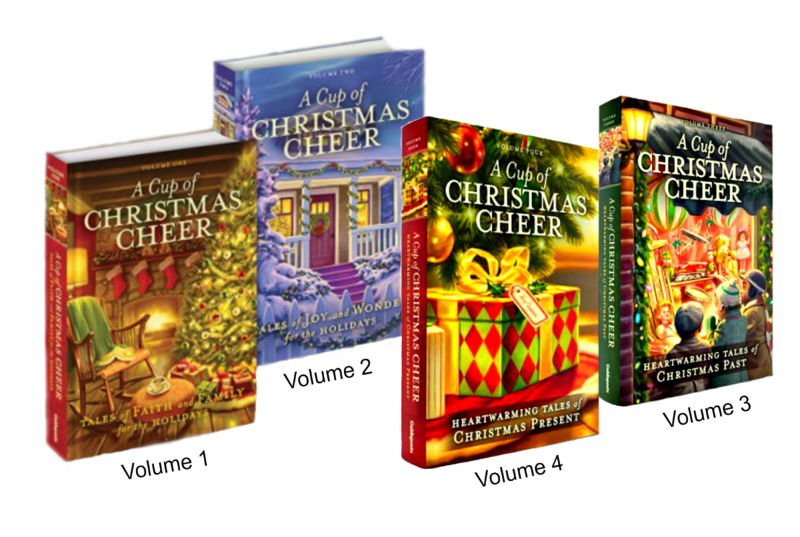 As mentioned in the comments of Susanne's post, I stored my Christmas CD's somewhere safe about five years ago and haven't found them since, so I'm listening to a holiday music channel on our satellite TV. But with snow on the ground, holiday music in my ears, and recipe in hand, mouth-watering aromas will soon be escaping from my kitchen. Thanksgiving Blessings going out to all my American friends wherever you are. I love fruitcake and yet I'm pretty sure I've always eaten it fresh. However, I'm more likely to make plum pudding which might be considered very similar but much moister. Poor fruitcake. Such a bad rap. I never realized fruitcake became famous because it was easy to ship back in pre-overnight delivery days. I think I've only tried fruitcake once, when I was a very young child. Or maybe I just saw one then and didn't try it. It wasn't a tradition in my family. Youngest son (who wants to be a chef) and I were recently talking about how much of our food preferences come from what is familiar to us. I think the subject was fish (he loves it), and I mentioned that I didn't grow up eating it, so I never really developed a taste for it. My mom grew up on a farm, and they raised beef, chicken and pork. What did she cook when I was a kid? Beef, chicken, and pork. What do I usually cook? Beef, chicken and pork. That's basically true, CJ, except that hubby's father refused all chicken dishes because it reminded him of his mother plucking and cleaning out freshly butchered chicken on their kitchen table and couldn't forget the smell associated with it. So it depends on the circumstances of our childhood and the smells and sights we associate with certain foods. 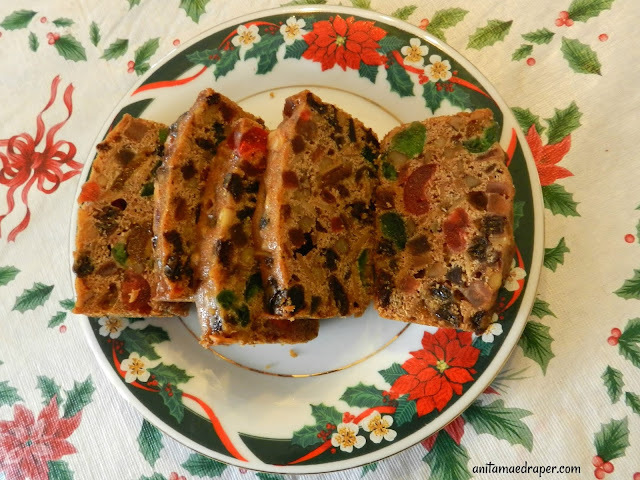 I didn't like fruitcake as a child because Mom always made it with dried currants and citrus peel. So when I made my first one, I switched the candied peel for a container of those small squares of glace fruits , and then leave the glace cherries in bigger piece so they add colour and texture. Then instead of currants I add extra raisins, ensuring I have both the sultana and golden ones for more color variety. I'm not a huge fan of fruitcake although, unlike CJ, I did grow up with it. However, a friend from Newfoundland gave us a recipe that I like. It has no alcohol but includes coffee and cocoa? I think. Wow, that's unusual (not the alcohol part, but the coffee and cocoa!) Thanks so much for commenting, Elaine! We appreciate your support and friendship! When I misplaced my Robin Hood Fruitcake recipe I used one that had coffee and applesauce. Then I found my old one on the Robin Hood website and have now posted it on my website's recipe blog, except I believe it might be an updated version because it simply uses liquid honey now. Well, you could probably tempt me with a chocolate fruitcake!